We use Amazon quite a bit for certain shopping. Christmas for example, we end up buying most gifts through Amazon for cheaper and with Prime membership. The savings from shipping costs alone help reduce the annual fee. We’ve had DreamHost for our provider for over 10 years. We’ve obviously been very happy with their service and offerings that we’ve not felt the need to shop anywhere else. Their plans start at $7.95/month and the low cost hosting includes 1 free .com, .net, .org or .info domain name for the first year. 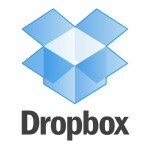 Dropbox is a great place to store files in the cloud. One thing I like most about Dropbox is the ability to share files to whomever I chose. I can simply choose a folder or a single file, generate a unique link and send that link to friends and/or family. And the app integration brings it all together no matter where you’re at. One of my top 5 apps! 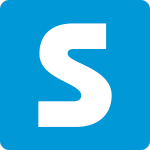 Shopkick is a nice rewards app you can use every time you visit a store. You basically have the ability to accumulate reward points called Kicks on every visit. You collect Kicks just for visiting as well as scanning products while you’re there. You redeem rewards for virtual giftcards that can be used at a host of stores including Target and Walmart. With Swagbucks, you earn points by watching videos, answering surveys, playing games, shopping, and even web searches. You redeem points for a variety of giftcards. Target is our main grocery store. I always feel we get good products for the right price. We use their Target Cartwheel app on every visit as well. We always find additional discounts for items. It feels like their store brand Market Pantry is always discounted in the Cartwheel app by 5%. Then we use our Target Red Card for an additional 5% discount. Love this store! Ting is a wireless carrier that charges based on your actual usage, not just a package you choose (and get charged handsomely for) which you may not fully utilize. They have a nifty calculator to determine ahead of time how much you’ll be charged (and consequently, save) with their service. If you sign up with Ting off the link here, you will get a $25 credit and so will we!